Accelrys, Inc., the leading scientific informatics software and services company, today announced the release of Symyx Notebook 6.5 by Accelrys. This latest release of the multi-disciplinary Symyx electronic laboratory notebook (ELN) delivers improvements supporting chemical process development, production scale-up, and administrative compliance in pharmaceutical, fine chemicals, agrochemical, and consumer products markets. Pilgrim Software, Inc., a world-leading provider of Enterprise Risk, Compliance and Quality Management (ERCQM) software solutions, today announced it has elevated its Microsoft Partner status to Gold Certified Partner as an independent software vendor (ISV) in the Microsoft Corporation Partner Program. In earning this distinction, Pilgrim has demonstrated continued commitment to industry standards in solutions and technology. At the CambridgeSoft User Meeting and Conference, CambridgeSoft, a leading provider of software and services for discovery, analysis, and collaboration to the life sciences, and KNIME.com, the company behind the professional open source workflow tool KNIME will announce the execution of a wide-ranging collaboration agreement. Under the agreement, CambridgeSoft will sell, support, and service the KNIME platform in enterprise R&D environments, and both companies will work to tighten the integration of KNIME.com and CambridgeSoft products. Roche (SIX: RO, ROG; OTCQX: RHHBY) announced today that it has signed an agreement under which Ventana Medical Systems Inc., a member of the Roche Group, will acquire 100 percent of BioImagene, Inc., a privately held company based in Sunnyvale, California. 08/22/2010 - USE LIMS released! Web-based Laboratory information management system released. USE LIMS sets a new standard for life science software. Accelrys, Inc., the leading scientific informatics software and services company, will participate in the ACS Fall 2010 Conference being held at the Boston Convention & Exhibition Center from August 22-25, 2010. 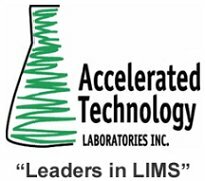 Accelrys and Symyx Technologies, Inc. have merged and will be exhibiting for the first time as a combined company in booth #942. OpenEye Scientific Software, Inc. (www.eyesopen.com), the developer of innovative molecular modeling and cheminformatics solutions for drug discovery, announces the release of SZYBKI 1.5.0, the company’s molecular structure optimization application. Agilent Technologies, Inc. today released a new easy-to-learn version of its popular ICP-MS MassHunter Workstation software for the 7700 Series inductively coupled plasma mass spectrometer (ICP-MS). The company also expanded its ICP-MS instrument platform with the Agilent 7700e ICP-MS, designed to deliver high-performance, routine elemental analysis at an affordable price.